Payesh or Rice kheer is a pre-eminent feature of bengali cuisine. In bengali culture, no occasion is complete without payesh. Be it birthday, anniversary, baby shower or rice ceremony- bengali’s just need a reason for having this scrumptious dessert. Payesh is also an essential part of the bhog that is offered to the Gods and Goddesses. In majority of hindu temples, payesh is an indispensable part of the bhog. Usually, payesh is prepared with rice, milk, sugar, and ghee. For a richer taste, you can also add heavy cream to it. In Northern part of India, people also add kesar in their kheer. Rice is an essential component of payesh. The taste of your payesh heavily depends on the quality of the rice you are using. 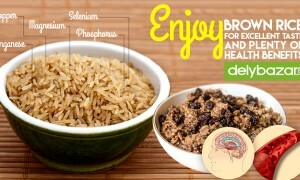 For best results, you can use gobindo bhog rice. It has an exotic aroma and a distinct flavor that adds a unique taste to your payesh. Soak the gobindo bhog rice in water. After 30 minutes, strain it. Take a pan and add ghee to it. Once the ghee melts, add the strained gobindo bhog rice. Add the chopped nuts as well. Stir for a couple of minutes. Be careful not to burn the rice. Keep the rice and the chopped nuts aside. Now in the same pan add 2 tablespoon sugar and water. Caramalize the sugar by constantly stirring the water on low heat. Once the sugar has caramalized, add the rice and chopped nuts to it. Add the milk and bring it to boil. Now add the bay leaves, crushed cardamom pods in the pan and stir. Boil it till the milk reduces and thickens. This will take around 15-20 minutes. Stir constantly. 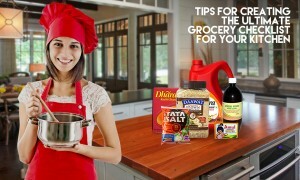 This will prevent the rice and other ingredients from sticking at the base of the pan. When the payesh has thickened, add the remaining sugar and boil for 2 minutes more. Turn off the heat and let the payesh cool down before you serve. 10. 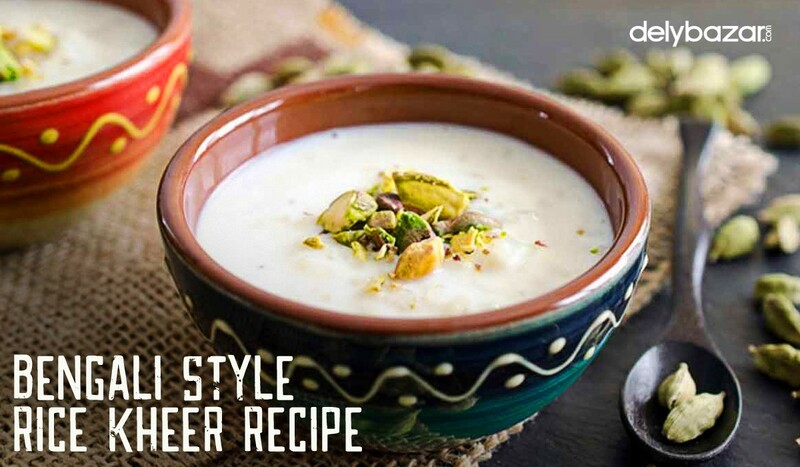 You can garnish the payesh by sprinkling some dry fruits, saffron strands, and rose petals. You can add khejur gur or jaggery instead of sugar in your payesh. This will lend an extra flavour to your dessert. For preparing Khejur gur payesh, follow the same process but do not add sugar into it. Instead, add jaggery while boiling the rice, nuts with milk. Enjoy the heavenly dessert! 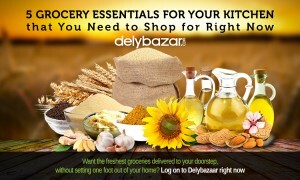 If you want to buy gobindo bhog rice online, then please visit Delybazar and go through our range of rice products.